COUNTRY music sensations LEANN RIMES and KEITH URBAN will tour Australia in October in what is being described as the double bill of the year. The tour will include six dates across the country including NEWCASTLE ENTERTAINMENT CENTRE on October 23. Promoters MICHAEL CHUGG and ROB POTTS said the show was sure to be the envy of many American fans. ``This is a double-bill that US audiences would kill for'' Chugg said. ``We're incredibly fortunate that these two artists' schedules have allowed us to bring them out to Australia - or in Keith's case, back to Australia - together on one tour,'' Potts said. 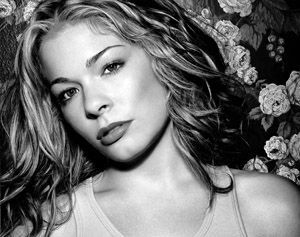 Rimes last toured Australia in 1997 after the success of her number one debut single Blue which she released at the age of 13. More recently, Rimes's music has adopted a new pop edge, giving Australian fans the first chance to see a more mature Rimes this time around. Her latest album is titled Twisted Angel boasts the hit single Life Goes On . Before Twisted Angel , Rimes had a worldwide number one hit with Can't Fight The Moonlight that was the theme from the film Coyote Ugly . Joining Rimes is Australia's own Urban who has become one of the biggest stars in the US music scene. His record sales are approaching 2 thmillion and his latest album Golden Road features the hit single Somebody Like You taken from the film How To Lose A Guy In 10 Days . Tickets are available from TICKETEK on 4921-2121.